Did you know that you can absolutely make another persons day a little better and it won't cost you a dime? That you have the power to lift up the spirit of a friend or co-worker? That you can single-handedly change the atmosphere wherever you are standing? How can you do all this? I remember most of the days I spent walking to class in college and passing folks that looked like they'd just bit into a lemon! Others seemed to be counting the cracks in the sidewalk because they never looked up. A smile has the power to brighten up everything and everyone around you. 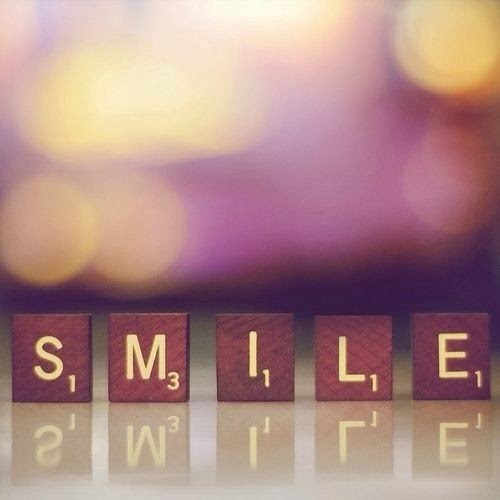 And a smile can change more for you than just your countenance. Someone once said your day will go in the direction of the corners of your mouth! Try it today. Everyplace you go, smile. Whatever is happening to you, smile. You will see the change in others and feel the change in you!